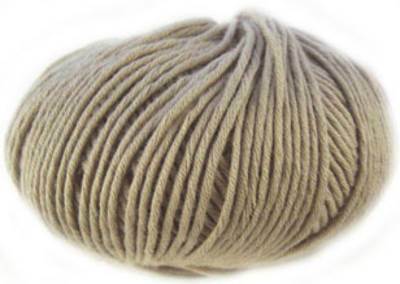 Debbie Bliss Ecobaby knitting yarn 15, Stone in silver beige is a 100% organic cotton, approx 4 ply, that knits to 25st to 34 rows over 10cm on 3.25mm needles . Also knits to any Baby Cashmerino pattern. 125m, 50g ball.